Without Richard Channing Garfield the world would be a much grayer and less interesting place today, at least for all of us. He created Magic in college, playtested it throughout, accidentally found a publisher for it, and wound up the the most well-known and successful paper game designer in the world (sorry Guygax, make something new why don't ya?). He does not seek the limelight, has not had a snappy biography written about him (or his game, amazingly enough) and I thought we should pay a quick homage to our mutual benefactor before we got any further. Richard Garfield was born in 1963 to an architect father with whom he spent his childhood travelling and presumably soaking up some of the massive visual and mythological vocabulary that goes into MTG. While pursuing a PH.D at Penn in Combinatorial Mathematics (not surprising when you consider MTG), he started coming up with the game, using his friends as playtesters and the first-ever MTG Nerd Cabal. Bear in mind, there had NEVER been such a thing as a collectible trading card game at this point. He was already turning unspoilt soil. and, at the time, seemed like a more likely success than MTG. 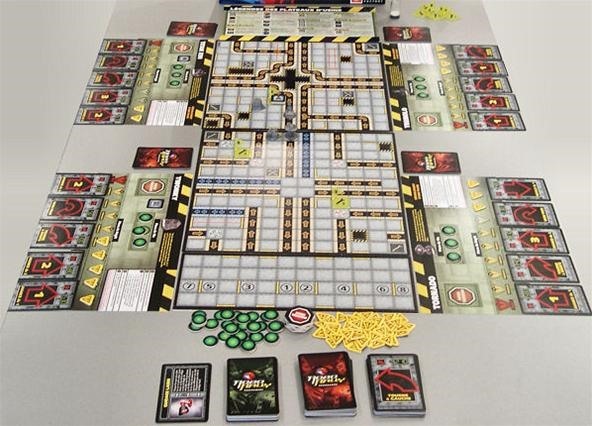 He met Peter Adkinson (then-CEO of Wizards of the Coast) and pitched him Roborally, which he didn't want because it would be too expensive to release (can you see why?). Fortunately, Garfield also showed him MTG, and a partnership that would change the world of games was born. In 1993, Garfield finished his doctoral work, took a professorship at Whitman College, and witnessed the release of the first set of Magic cards. It was such a success that he left his post at Whitman College and became a full-time game designer at Wizards in 1994, supervising the glory days of MTG before leaving to work on other game design projects. In 1993, Garfield wanted to propose marriage to his girlfriend Lily Wu. Rather than acquire flowers or an expensive dinner or something, he produced a Magic card called "Proposal" with a casting cost of four white Mana and the text: "Allows Richard to propose marriage to Lily. If the proposal is accepted both players win; mix the cards in play, both libraries and both graveyards as a shared deck." He challenged her to a game so that he could play the card authentically. It took him four games to play the card, with Lily's frustration with his insistence on continuing to play mounting. He did get it out eventually, she accepted, they've been married ever since and have two children. Richard Garfield is my hero. Well he never really did did he? Kind of a one-trick pony. Whose one trick was being able to fly a spaceship blindfolded with it's hooves.